We all know there is a lot at stake for the 2012 election cycle. All eyes are on Washington but the old adage is true — all politics is local. State Legislative races are crucial. Especially when it comes to women’s health care – the most popular political whipping boy (or girl, rather) of late. The 2011 convening of the State Legislature produced dismal outcomes across the board, most notably in women’s health care. The state’s family program was slashed by two-thirds. The cut will actually cost taxpayers nearly four times as much – in excess of $230 million – in additional Medicaid costs. Additionally, not a single bill was passed that would renew and expand the successful Texas Women’s Health Program (WHP). The health care program brings in $9 in federal dollars for every $1 Texas pitches in and was highly recommended by the nonpartisan/bipartisan Legislative Budget Board. So why no bill? Because Planned Parenthood is the most utilized and trusted provider in the program that makes health care accessible to more than 100,000 women statewide. The Texas Health and Human Services Commission (HHSC) drafted and approved a rule that would exclude Planned Parenthood from the program. The rationale for the rule: Planned Parenthood clinics that receive WHP and do not provide or promote abortion (because it is against the law and has been for more than three decades) share a name with entities that do and are therefore “affiliated”. Planned Parenthood is rightly challenging the rule in the courts stating that it is a violation of constitutional freedoms of speech and association. Planned Parenthood family planning clinics can’t be excluded from any federal or state family planning program simply because completely separate legal and financial corporations provide legal abortion services with private dollars. Now, the state of Texas is spending precious dollars on defending their unconstitutional rule. Dollars that could have been spent on oh, I don’t know, health care for low income Texans. Meanwhile Governor Perry maintains he will set up his own state women’s health program. He’s instructed state officials to find nearly $40 million to set up the state program because he’s been warned that restricting a woman’s choice of eligible providers will make Texas ineligible for the $9 to $1 match. True to form, Governor Perry is blaming this all on the Federal government. He’s deliberately leaving out the “minor” details of multiple extensions the Center for Medicaid Services provided HHSC so Texas could fix the proposed rule. Luckily for the 130,000 Texas women enrolled in the WHP, a judge put a hold on the state’s rule allowing women to continue getting their WHP care from Planned Parenthood while the case is litigated. The Fifth Circuit Court of Appeals will rule on the State’s appeal to the hold any day now. It was blatantly obvious what happened last session. A contingent of right wing legislators highjacked the State’s support for family planning and turned into an anti-abortion debate. In turn, family planning funds were slashed and low-income women lost access to their ability to prevent unintended pregnancies. Because these legislators are the majority, they won. The few moderate Republicans who were actually in leadership and support family planning were railroaded. What is the leading cause of abortion? Unintended pregnancies. Mission accomplished? Former CNN anchor Campbell Brown (whose spouse is Romney advisor, Dan Senor) chastises Planned Parenthood for not engaging and supporting Republican members of the US Congress and Senate – as though Republican members and candidates are begging for a Planned Parenthood endorsement. The fact of the matter is Planned Parenthood is a non-partisan organization. 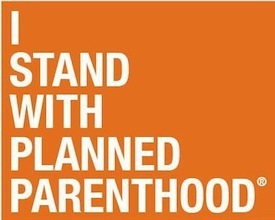 Planned Parenthood is the leading nonprofit provider of nonjudgmental reproductive health care. We provide well woman exams, birth control, lifesaving cancer screenings, HIV testing and counseling and basic health care services to nearly 3 million women across the U.S. The Planned Parenthood Action Funds in Texas – our political arm – educate voters and our political action committees support candidates who will support women’s health care. Republican or Democrats. Women or Men. Bottom line: It’s about women’s health. We all know Tea Party extremists who infiltrated the Republican party threw bipartisanship overboard a while ago. Republican candidates who support commonsense family planning – like the Mitt Romney who ran for U.S. Senate in 1994 — are rare these days. The reality today is Republicans don’t want support from Planned Parenthood without cover. They know they’ll be attacked from within the party. The Republican party has been dominated by right wing rhetoric and evangelical tyranny. Plain and simple. Support for something as noncontroversial as birth control is now tantamount to support for so-called “abortion on demand”. Politicians are running scared. The real Republican Party (the one that actually started the federal Title X family planning program in the 1960’s) needs to wake up. Women – all women – are watching and they don’t want access to pap tests and breast exams eliminated so that right-wing men can pound their chests in victory. And yes, Campbell Brown, Planned Parenthood does want to continue to support Republicans who support women’s health. We’re still here. They just need to show up. Yvonne Gutierrez is the Political Director for the Planned Parenthood Gulf Coast Action Fund. Campbell Brown’s opinion piece in the NYT was quite the joke. Accusing Planned Parenthood of the same tactics the GOP has been using for a long time and of course not recognizing the irony (i.e., if you’re not with us, you’re against us so we will crush you). Her last one allowed comments–this latest one did not. It also did not disclose her husband’s ties to the Romney campaign (again, although she disclosed it herself somewhere in the middle of the first piece that). If Campell Brown is the best (only?) female voice the GOP has to attack PP, they truly are desperate. Republican support for women in general is nonexistent. If Planned Parenthood really wants a dialogue with Republican activists, calling folks “extremist” is probably not the way to start. Many of the tea party are indifferent on the abortion issue, and riveted to national budget and constitutional authority issues. Some are probably pro-choice. Just talking to Planned Parenthood could be seen as a sign of ideological betrayal by the base of the party, and until Planned Parenthood undertakes to counter inaccurate information widely disseminated within party discussions, this will continue to be the case. At a minimum you should have observers at each of the quarterly county executive committee meetings, and the biannual state senate conventions to see what sort of resolutions are being discussed and the rationales expressed in the debate. and I will be interested to see whether Planned Parenthood recognizes the brave position taken by Sarah Davis in the last session of the legislature upon the sonogram bill, or whether they issue a knee-jerk routine endorsement of the (likely to be unsuccessful) Democrat challenger. In 2010 PP actively, vigorously worked against Davis. Yes, in 2010 Planned Parenthood actively supported Ellen Cohen, who worked tirelessly on the Appropriations Committee for women’s health. Are you suggesting they shouldn’t have supported Ellen?